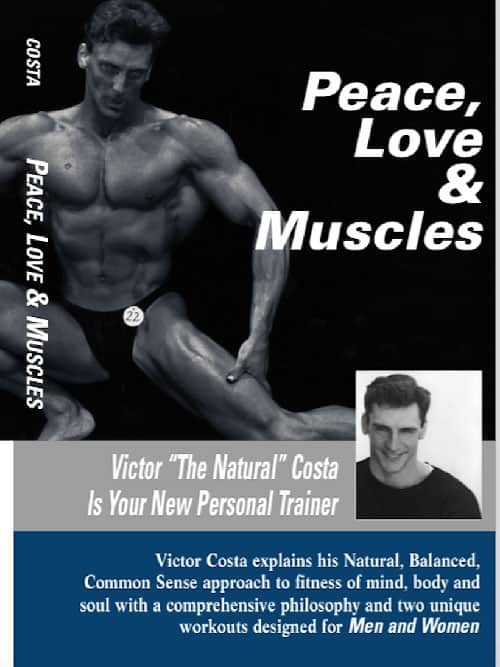 Enjoy Vic’s incredible book, Peace, Love and Muscles. Autographed. In this 210 page book, chapters are devoted to the spirit of body building, and abandoning limiting behaviors.The pictures are incredible. Vic displays every exercise in the gym with vivid classic photographs of himself in action. Descriptions of the exercises follow in great detail. If you only had one book on bodybuilding, this should be it.